It’s been a long time since I’ve done a night-time hike, at least intentionally. 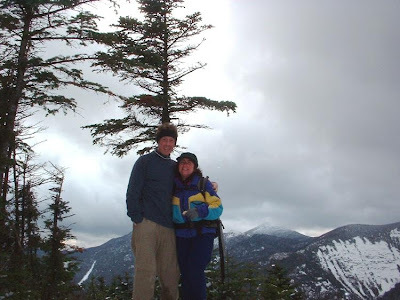 This past Friday night, after a great dinner at a Lake George inn, we donned headlamps and hiking boots for the short 1.5 mile hike up to the Lake George Land Conservancy’s Thomas Mountain cabin near Bolton Landing for an overnight stay. A near-full moon almost made the headlamps unnecessary since the trail, a former jeep road, is relatively open to the sky. Driving towards the Shawangunk Ridge from New Paltz at this time of year, you can't help being struck by the bounty of late summer. Apples, gourds, sunflowers, early pumpkins and late-season corn seem to overflow from the orchards, fields, barns and roadside stands. 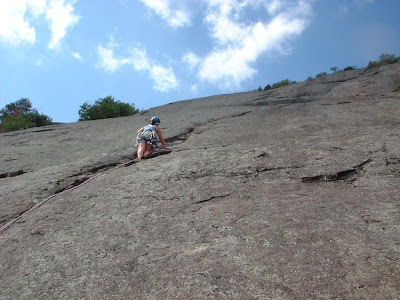 Jason and I were after a different harvest, however: the Shawangunk Ridge contains the highest concentration of rock climbing routes on the East Coast. I knew I had a keeper, and so we were married exactly 7 years ago today, on September 13, 2003. What’s it like to ski with her? She understands how important skiing is for me, gives me time when I need to do a few runs on my own, and puts up with me pointing out Mount Marcy EVERY time from the top of Cloud. But most importantly, she loves skiing herself. During the winter, there’s nothing else we’d rather be doing as a family. Author’s note: I had been writing this story in my head for the past nine years. Today, the ninth anniversary of both the World Trade Center attacks and my Grand Teton climb, seems like the right time to finally share it. Like the JFK assassination more than a generation earlier, the memory of the 9/11 terror attacks is etched in the memory of virtually every American. Ask almost anyone, and they invariably remember exactly where they were and what they were doing when the attacks occurred. That day is etched in my memory as well, but my 9/11 story is different from most. When Damon and I left Wyoming following our Gannett Peak trip in August 2000, we were already talking about coming back to climb the Grand Teton. With their jagged peaks, glaciers and hanging snowfields rising 7000 vertical feet straight up from the plains of Jackson Hole, the Tetons are America’s most recognizable mountain range and a magnet for climbers. There is a wide range of compelling climbing options in the Tetons, but sooner or later every climber feels drawn to the Grand Teton itself. Teton range from Jackson Hole. The Lower Saddle is the col just to the left of the Grand Teton. 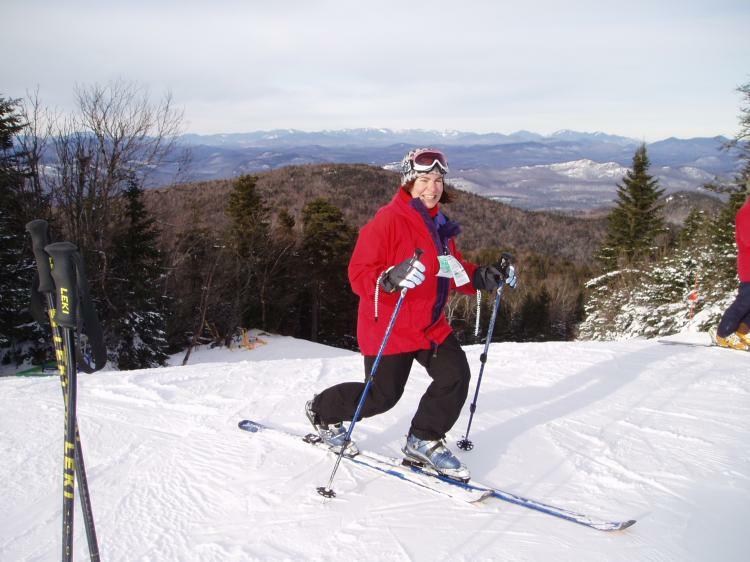 Belleayre, Whiteface & Gore: Together Under ORDA? If you live in or spent any time in New York this year, it was impossible to escape talk of the state budget crisis, extender bills, state furloughs and park closures. Finding ways to streamline state government should be a top priority of our officials. 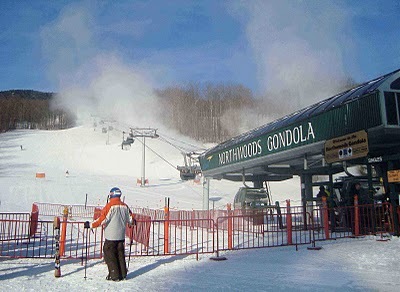 One way might be to combine Belleayre with Whiteface and Gore under the ORDA umbrella. The three state-owned ski areas are currently the responsibilities of ORDA (Gore and Whiteface) and DEC (Belleayre), and have two completely separate reporting lines. Some level of administrative efficiency and cost savings should certainly result from a single management structure. But the benefits would likely be more than just cost savings. 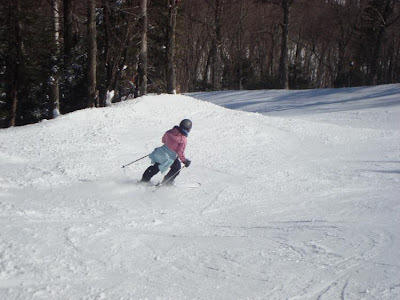 Knowledge and resource sharing should produce a better overall ski product, resulting in an increase in skier visits and economic impact from operation of the state-owned ski areas. 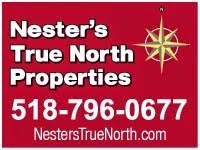 After all, if the State of New York is going to be in the ski business, shouldn't it do so in a coordinated manner? It would seem to be a win/win for everyone. Belle would get more budget and infrastructure (hopefully), Gore/WF would get more people from the NYC region spending money in the Adirondacks with their season passes, skiers would have more options and value from their passes. There are potential obstacles. For one, ORDA was created by the State of New York to manage the facilities used during the 1980 Olympic Winter Games at Lake Placid. However, ORDA has operated Gore for many years, which has few if any ties to Lake Placid and the Olympic facilities. I see no reason why ORDA's mission couldn't be expanded to include operation of Belleayre. 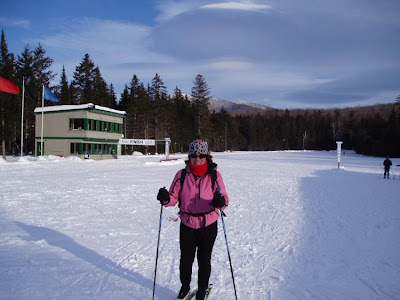 While some Gore stakeholders have criticized ORDA as being too Lake Placid focused, Gore has certainly gotten its fair share of improvements and promotion. Belleayre skiers might understandably be concerned about Belleayre losing some of its uniqueness and identity. 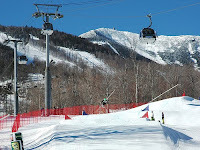 Plus, Belle has achieved an admirable track record of success on its own under the current management structure, more than doubling skier visits from 75,000 to 175,000 over the past ten or twelve years. So if it isn't broken, don't fix it. But Gore and Whiteface have been successful in retaining their own personalities under ORDA, and in the end I think the benefits outweigh the potential disadvantages. Back when all three ski areas were under DEC management, a Gore/Whiteface pass could be used at Belleayre, and vice versa. I'd love to see that opportunity available again to New Yorkers. What do you think? Add your thoughts to the discussion here. 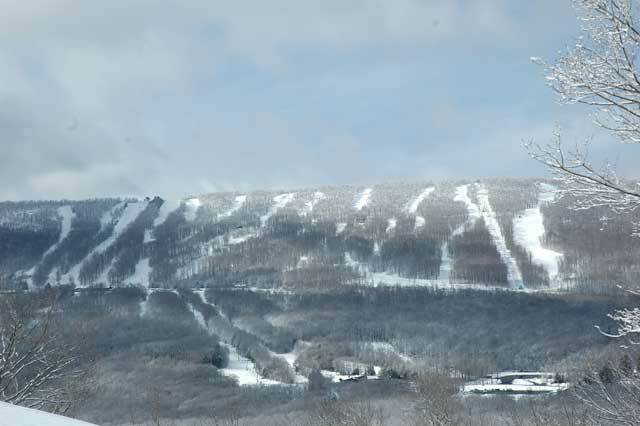 Of course, it's hard to have this discussion without also raising the question of whether New York State should be in the ski business at all. Since that's a complex issue, we'll save that topic for another time when all facets of that question can be explored. For Sale: Cabin, approx 15 x 18, must be removed by purchaser from remote mountaintop. Sound interesting? I thought so too. I’ll get to the cabin in a moment, but first the hike. 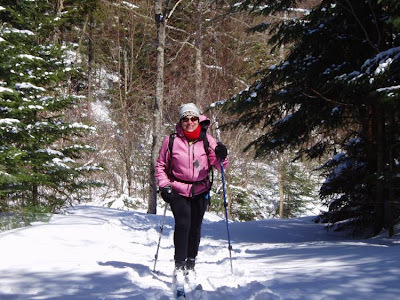 The Cat and Thomas Mountains Preserve is a 1,850 acre parcel near Bolton Landing, recently (2003) acquired by the Lake George Land Conservancy to protect the watersheds of Edgecomb Pond (Bolton Landing’s drinking water source) and Lake George. A seven mile trail network on the preserve allows hikers to enjoy magnificent views of Lake George and the southern Adirondacks from the open summits of both peaks. 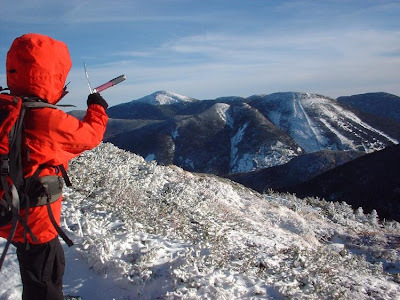 Although the elevations of Cat and Thomas Mountains are relatively low (both top out at just over 2000 feet in elevation), there is an impressive amount of vertical relief due to the low elevation of the lake itself (350’ above sea level).